FREE firefly themed count and color center. Counting 0-20. For kindergarten, preschool, SPED, child care, homeschool, or any early childhood setting. 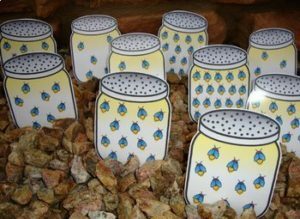 1] 21 Firefly Jars (0-20) – Laminate. You can put them in a sensory table, place them around the room, mix them upside down on a table, etc.